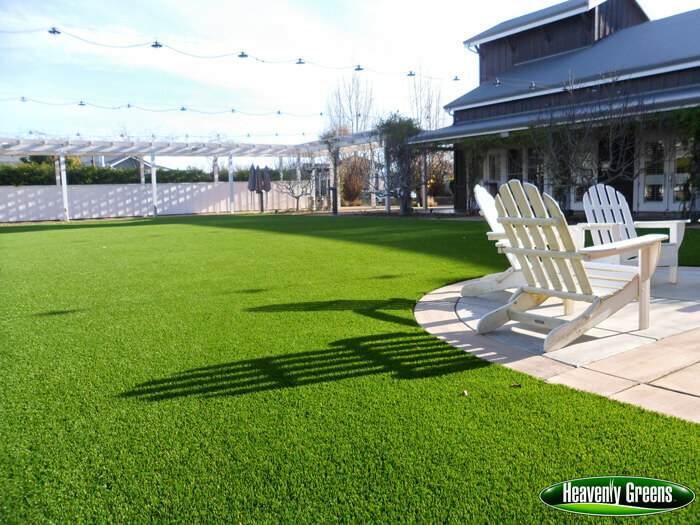 Crowd-friendly – that’s artificial grass from Heavenly Greens. Pretty and practical, all year long, without water or work. Soft and cool to sit or play on, quick-draining to absorb spilled drinks and eliminate puddles if it rains. Never any dog damage, mud or grass stains, or wrecked grass after a big event. 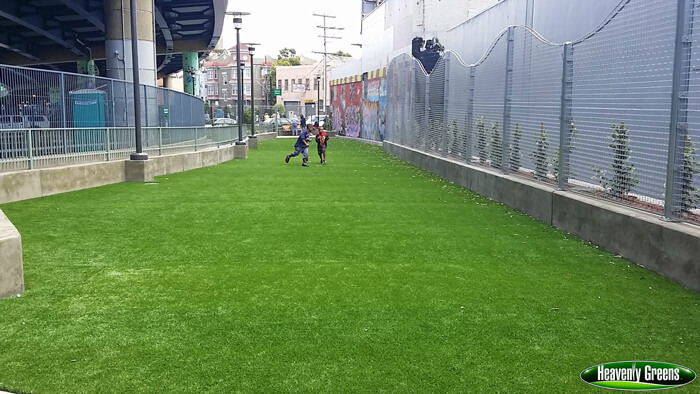 Our synthetic turf conforms to ADA specs, and our FallSafe products are specially-created for kids’ play areas. 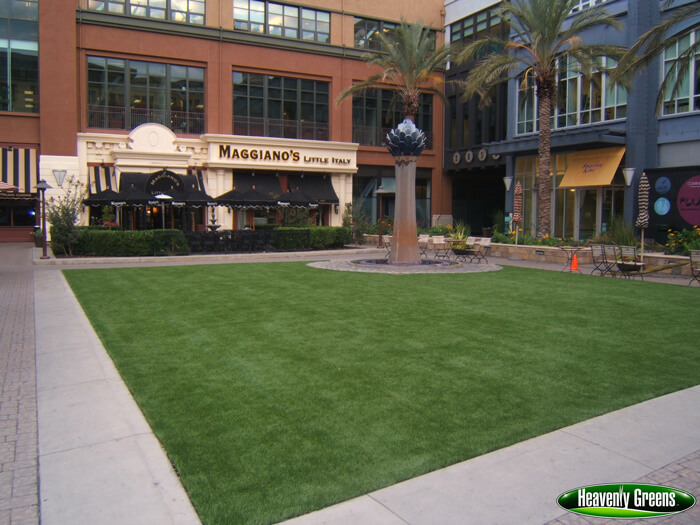 In this upcoming housing development, a company contacted us to install several putting greens in a new public park. 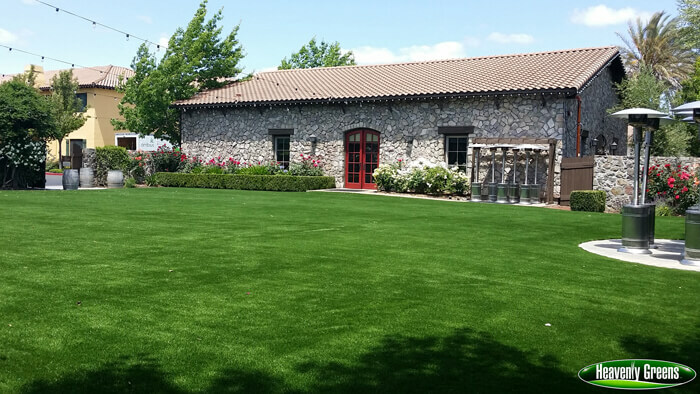 They decided to go with our Pro Putting Green turf, as well as a different fringe material. Because of this, the residents now have unlimited access to putting greens to blow off steam after work or enjoy with their families.